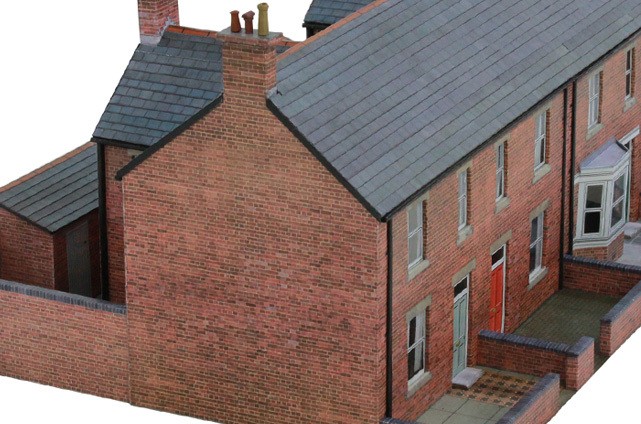 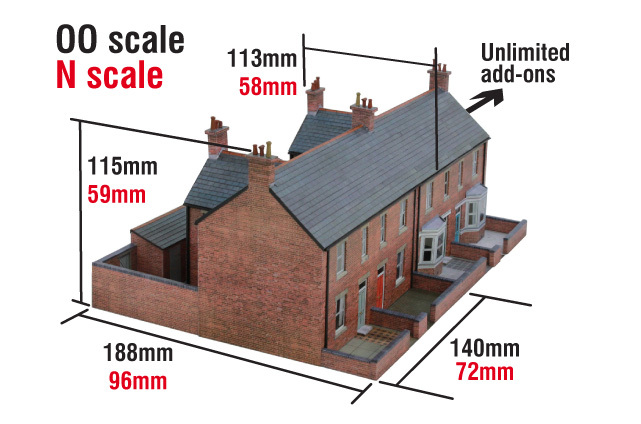 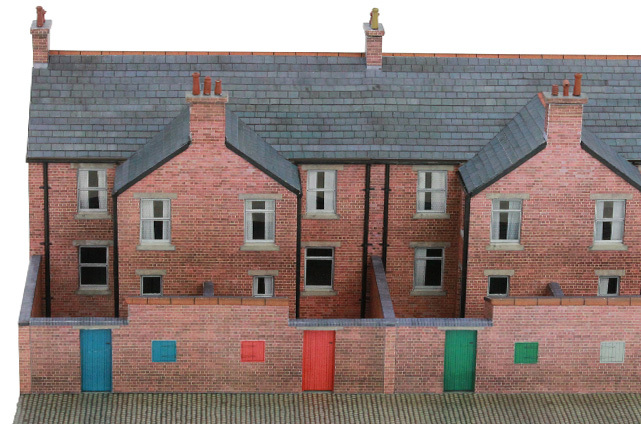 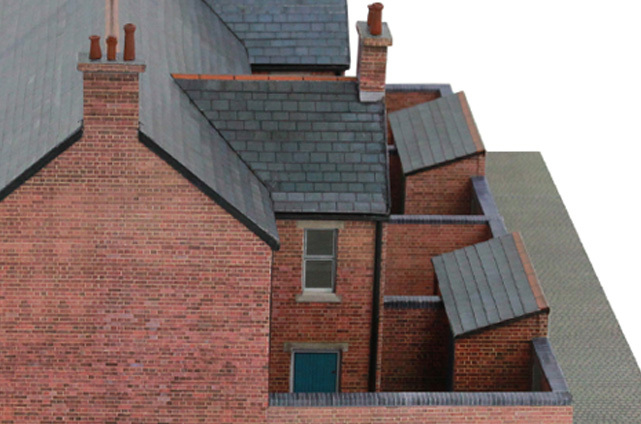 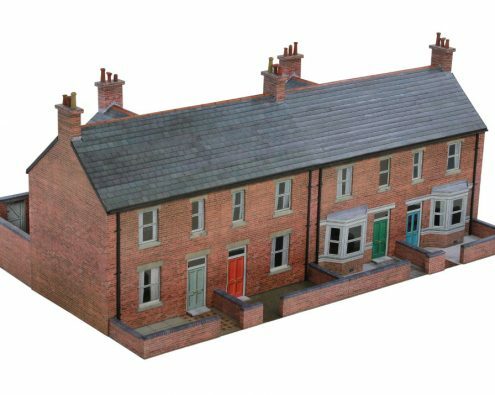 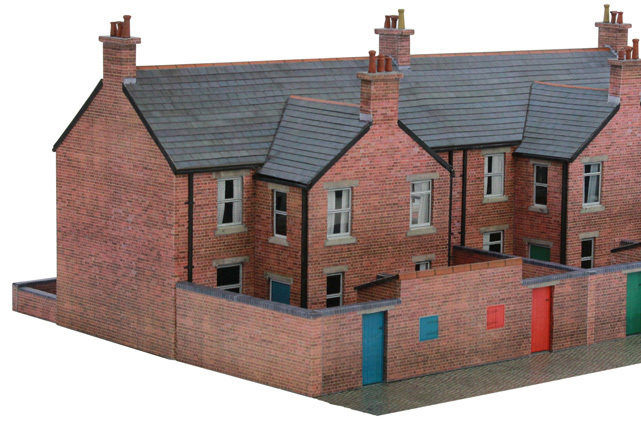 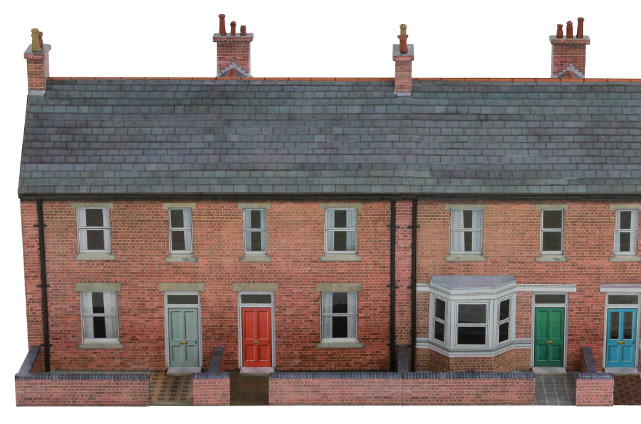 An all new, more flexible kit that will allow you to easily build row after row of realistic terraced houses either on a level or sloped baseboard. 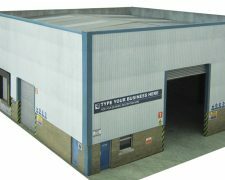 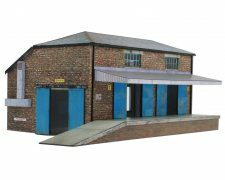 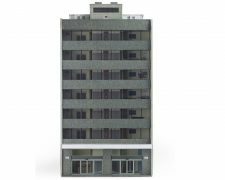 Our new T022c Corner Shops kit will really add interest to your row. 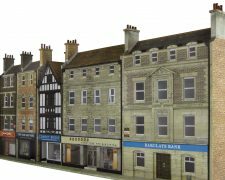 For lots more wall finishes also check out our T022b Additional Wall Finishes pack.